In 2011, I was introduced to a startup called Sailthru. Back then, they were a young, Series A startup that had a neat “Forward to a Friend” email feature that was pivotal in our young daily deals startup (pre-IPO Groupon/LivingSocial). Later on, they grew into a full-service email marketing platform solution, an ambitious contender to market incumbents such as ExactTarget (pre-Salesforce), Responsys, Silverpop,etc. What sold me was results, and their core belief in data science to power 1:1 email personalization, beyond the first name. Today, they are, effectively, the only omnichannel marketing automation solution on the market that uses predictive intelligence to deliver 1:1 personalized brand experiences at scale. I am thankful for VC firms like RRE, Lerer Hippeau and Bowery Capital amongst other seed-stage investors that believed in companies like Sailthru, equipping data-driven marketers with cutting-edge tools to create more personalized brand experiences. 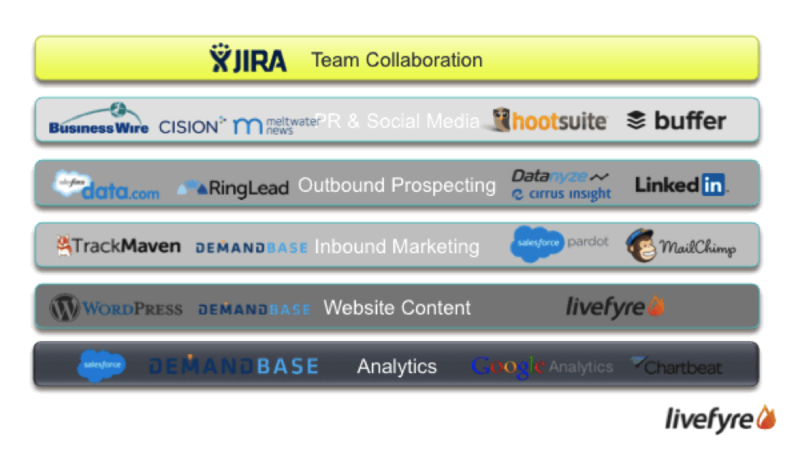 The marketing technology market is hot and crowded. Since 2014, the number of budding new marketing technology companies has more than doubled, nearing 2,000 different vendors. While venture capital investment in marketing technology hit a record $45B last year, and $3B in fundings, acquisitions and IPOs for marketing tech in Q1 2015, alone (VentureBeat 2015). In a report released earlier this year, marketing technology influencer, Scott Brinker, analyzed 1,8760 marketing technology companies in 43 categories across various areas of marketing: experiences, infrastructure, operations, and middleware. As a result, new technology bred new opportunities for brands to communicate with their audience in new, more personalized ways, but not without obstacles along the way. A 2015 Salesforce CMO research report cited a top challenge for CMOs has been remaining up to date with, and evaluating, rapidly growing new tools to meet their unique business goals. As a career marketer, and having been responsible for growth at early-stage and global brands alike, experimentation is at our core. And what makes us successful is the technology stack we employ that helps us deliver upon our goals in the many integrated, cross-channel campaigns we deploy everyday. Too many tools, too many integrations, too many battles with engineering, and too many pain-points for marketers to get fully onboarded — losing speed to market with every new tool added to the stack. Although we see marketing cloud incumbents like SAP, Oracle, Adobe, and newcomer Salesforce acquiring young marketing technology startups at record speed in an attempt to provide one-stop-shop solutions, products usually decline in quality or are killed entirely post-acquisition. I believe startup technologies like Segment.io is helpful in alleviating the pain, however, the real need is deep and the opportunity is vast and largely unchartered. The ability for marketers to use a single technology platform to automatically build, analyze and optimize an omnichannel strategy that humanizes digital engagement experiences, and addressing customers as real, individual people remains a fantasy to be fulfilled. The pains and challenges of a marketer are often bounded by the mercy of engineering and product teams. It is the advancement of machine learning and predictive analytics together, that will ultimately free marketers to focus on strategic development and change the way brands reach, communicate and retain relationships with their target audience — for the better. Last year, IDC reported that the big data market will grow from $16.55 billion in 2014 to about $41.52 billion in 2018, growth rate of 26.24% cagr*. And for venture capital investments in pure-play AI startups, including machine learning, deep learning and predictive analytics will top $300MM (CBInsights 2015). Big Data and Machine Learning, is the infrastructural beginning to an exciting new era that will enable brands to communicate with consumers through new digital channels in a more humanized way using modern technology. Traditional marketing frameworks, as we know it, will become irrelevant. Segmentation will become obsolete as scalable, 1:1 personalization technology, powered by machine learning, will pave the way for truly genuine relationships between brands and consumers. Without a doubt, machine learning is de rigueur. Recently, Amazon launched their new Machine Learning as a Service (“MLaaS”), that will make machine learning approachable to programmers of all skill levels to personalize content and messaging, create predictive data visualizations, and model customer behavior for purchase propensity, amongst other applied behavioral models. In addition, technologies like Adatao, Dato, Spark, Hadoop and Cassandra have enabled software engineers to process massive data pipelines and create truly amazing business intelligence solutions for marketers, that we were never able to achieve before: programmatically applying 1:1 granular personalization to millions of unique customers, at scale and in real-time. No more spraying and praying! The birth of predictive data technology has allowed marketers to move beyond gaining insights, and more towards understanding insights that are actionable. I am excited for startups, Highspot, Mixpanel and Localytics (and TellApart, newly acquired by Twitter), that help marketers make sense of cross-channel data insights and use predictive modeling to better understand customer behavior and intent in real-time, as well as adapting marketing experiences as individual users change in behavior along the customer journey. Marketers will focus on strategy, not math. While strategy will still very much be a process dictated by human creativity, predictive analytics and artificial intelligence will help marketers identify opportunities in strategic decision-making more efficiently and accurately. Ultimately, this will enable marketers to experiment, optimize and get to market faster. For B2C marketers, segmentation will die. And so will SMB (this is an abomination anyway). As machine learning powered platforms ingest user event data and create models to personalize every aspect of a brand experience: product and content recommendations, communication channels, messaging delivery day/time/frequency, churn propensity, purchase propensity, user intent, amongst other behavior-based models, marketers no longer have to “figure out” what users want or will do next. As a result, Time-to-Activation will collapse as Customer Lifetime Value skyrockets. Budgeting and headcount can be saved for filling real roles and resource allocation that drives real exponential growth. The grunt work of large marketing operations teams will most likely be eliminated. Machine learning will enable marketers to programmatically adapt and optimize campaigns that are personalized to each individual user at scale. Extra spend means more rockstar hires, more powerful technology, more ad spend… more everything. This is a really good thing. Besides, college grads that study marketing dream about being Don Draper or Peggy Olsen, not Ad Optimization Specialists. It’s the equivalent of a kid going into investment banking, but with way worse pay. Machine learning will no longer be a novelty or competitive advantage, but imperative to all marketing and advertising technology. On a technical front, brands will start competing on a more level playing field for audience mind share…. and copywriters are going to become crazy expensive hires.